Read a bit of my thoughts on the creation below. This track is from Black Tape For A Blue Girl’s November To touch the milky way album. As I started writing the song on the acoustic guitar, an 80s ethereal dream-pop vibe immediately made itself known to me, and I was intriqued. I felt I was tapping into the moody beauty we love from those artists we listened to back in the day, and that got me excited to see if I could write a song in this style. It’s not something I ever completely pulled off in the past (some pieces in the early 90s might have come close, but I wasn’t playing guitar back then, so I always came at it from a different direction.) “the Stars” is wistful, sad, hopeful. Beautiful sadness. All the things you look for in this kind of a song. I sent my backing track over to Chase Dobson, and asked him to add electric guitar and drum programming, and his lovely contributions gives the track that ringing melancholia that really centers the song in that era of sound. When Danielle came in and brought my lyrics to life, I knew we had it. Yes! That’s one of the amazing things about making music: creating the song I’ve always wanted to hear, but didn’t yet exist. Dani would sing a line and I’d start hearing a harmony, take a second to work it out, and then we’d layer another vocal into the mix. It was spontaneous, fun, and turned out beautiful! Lyrically, “the Stars” concerns being overwhelmed by the expectations we put on ourself, our fear of failing and doubts; but there’s a faint glimmer of recognition that we are just as we are meant to be, and that is what makes us uniquely special and uniquely ourselves. You can listen at Regen. PreOrder the download, CD or LP at our Bandcamp page, and Projekt’s website. 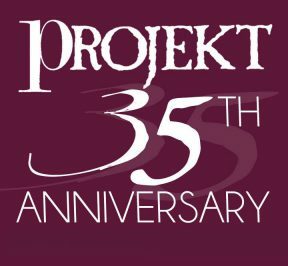 In Europe, you can save on shipping by ordering from Projekt’s European Website. The album will be available for streaming at all the usual sites, next month. This track is exclusive at ReGen’s website. For those of you who have already preOrdered the album, there have been some more delays at the vinyl pressing plant which pushed the album back from it’s original release date. I’m really sorry about this, but unfortunately the vinyl process is filled with unexpected detours. I am in daily contact with the plant. More soon. PS: The ad on the right in the ReGen screen shot is for an October 27th Pittsburgh PA show featuring Aurelio Voltaire. The bill includes Athan Maroulis’ NOIR. As you recall, Athan was the vocalist on Black Tape For A Blue Girl’s 2009 release 10 Neurotics, and he was also with me on the shows we played around teh album, including our 2nd appearance at Germany’s Wave Gotik Treffen festival in 2011. More info on the Pittsburg show. Every now and again, I like to make a past album available as a name-your-price Bandcamp download. I know many of you purchased the ashes in the brittle air CD in the 80s and 90s, and likely never got around to ripping it into your computer. Save yourself the time and go grab it for free. The CD is available for $10. #RTPlease — Could you help. I’m just one guy trying to spread the word about my art. You probably have friends who enjoy dreampop, ethereal, darkwave music, right? They might not know that BlackTape is still recording. You could brighten their day by introducing them to “the Stars.” Please share the link to the ReGen preview page or share ReGen’s Tweet. I really appreciate your help.